Part A is scheduled to be released in January 2019. Part B is scheduled to be released in July 2019. Translate emerging anesthesia knowledge into your daily practice with SEE. 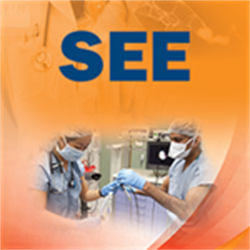 Assess your grasp of emerging anesthesia concepts with content aggregated from more than 30 international medical journals with SEE. 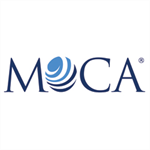 Receive the most important content on subjects ranging from clinical anesthesia, critical care and pain management. Stay abreast of the development of new drugs and techniques that are both relevant to your current practice and will shape your future practice. Access our SEE podcasts today! Resident members are entitled to purchase SEE 2019 Volumes 35A & B Booklet at the discounted rate of $75. The discounted price will appear in your cart after logging in. For assistance with placing an order, please contact ASA Member Services Monday through Friday, 7:30 a.m. to 4:30 p.m. Central time by calling (630) 912-2552 or emailing info@asahq.org. All other planners, faculty, and staff members have disclosed no relevant financial relationships with commercial interests. Internet connection. Web browser: Google Chrome, Internet Explorer, Microsoft Edge, Mozilla Firefox, or Safari, updated within the last 3 years. Resident members are entitled to purchase SEE 2019 Volumes 35A & B Electronic at the discounted rate of $75. The discounted price will appear in your cart after logging in. For assistance with placing an order, please contact ASA Member Services Monday through Friday, 7:30 a.m. to 4:30 p.m. Central time by calling (630) 912-2552 or emailing info@asahq.org.